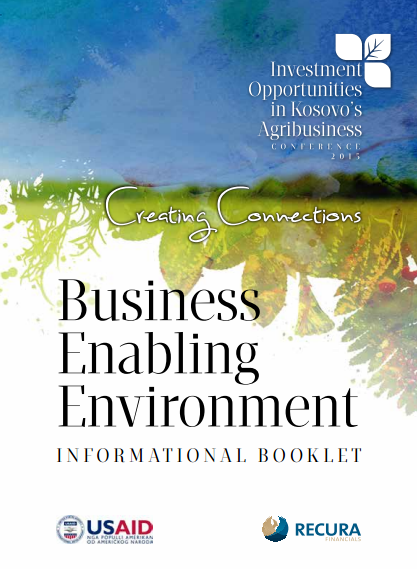 Paper was recently contracted to build the identity and the brand, the promotional materials and the conference materials for the “Investment Opportunities in Agri-Business in Kosovo“ conference organized by USAID and Recura. The conference aims at bringing individuals and institutions together, and provides a platform of communication and cooperation amongst investors, respective governmental and non-governmental institutions and local producers. Moreover, the conference shall outline the Kosovo local potential in the production of fruits and vegetables and shall provide alternatives for enhancing agricultural productivity in Kosovo. Paper is happy to have been part of this adventure and played its role in bringing investors and investments to Kosovo.